If you are planning for an international move or you are changing your existing home/place with the new one, and that does have enough space then you need to store your household goods. For storing your belongings you need secure storage facilities at our Home Storage segment. 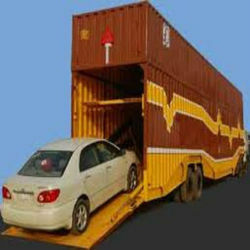 We have company owned warehouse in which we keep the customer personal belongings into wooden / steel cages. Our warehouse are equipped with round the clock security, vacuum cleaning, fumigation, fire proof equipments. We provide Home Storage solution to the customers who have to vacant their house and have not decided the new location or may be their new home is not ready and will get possession after few months at that time they require home storage service. Godrej Storage Solutions is a leader in the field of racking and storage systems with products ranging from slotted angle shelving, selective pallet racking to integrated man-less intelligent warehousing solutions. Individuals moving on an overseas assignment. Individual coming to India on an assignment. Size of the house is smaller than the existing personal household effects. Items required selectively on seasonal basis. Extra furniture / office equipments lying in office / work place. 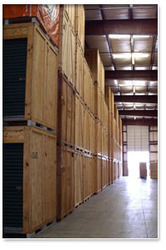 At our reasonable cost warehouse you can put your extra household or office goods and take them out whenever required.